There will be Q&A with Rosie Fleeshman, the writer/performer, and the director Sue Jenkins after the performance. Meet Narcissist: the love addict, the starving artist and the lost little girl in pursuit of self worth. A dark comedy about life, ambition and millennial expectation. Laced with acerbic wit, punchy dialogue and intricate spoken word, ‘Narcissist in the Mirror’ is an honest account of self-exploration, as rip-roaring as it is poignant and heartfelt. 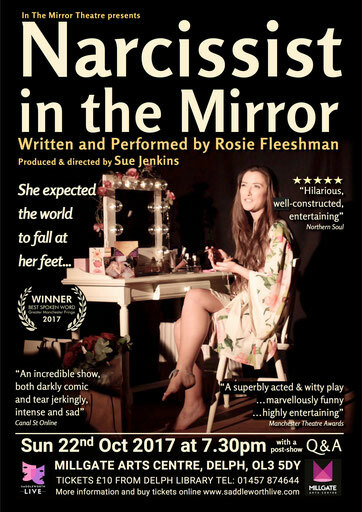 Narcissist in the Mirror made its debut in April 2017 to sell-out audiences. Hailed as 'one of the headline offerings of this year's Greater Manchester Fringe Festival' (Manchester Theatre Awards), it received rapturous praise from audiences and critics alike and went on to win the award for BEST NEW WRITING. After the show, there will be a Q&A session with Rosie Fleeshman and Sue Jenkins. the standing ovation at the end was palpably sincere and heartfelt." 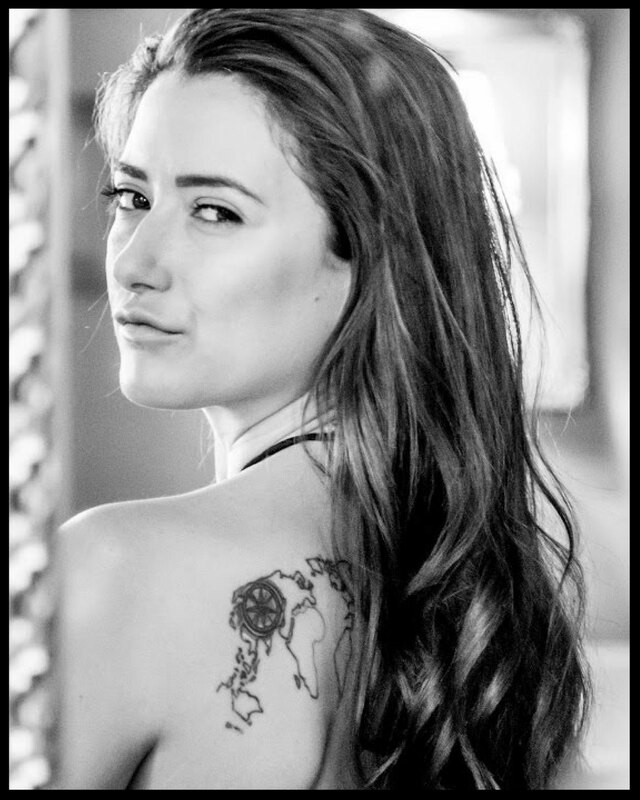 both darkly comic and almost tear jerkingly, intense and sad at times"
ROSIE FLEESHMAN has worked as an actress since the age of 10, beginning her career in the Peter Pan stage play at The Lowry Salford. In addition to an extensive stage experience, she has regularly recorded radio plays for BBC Radio 4. 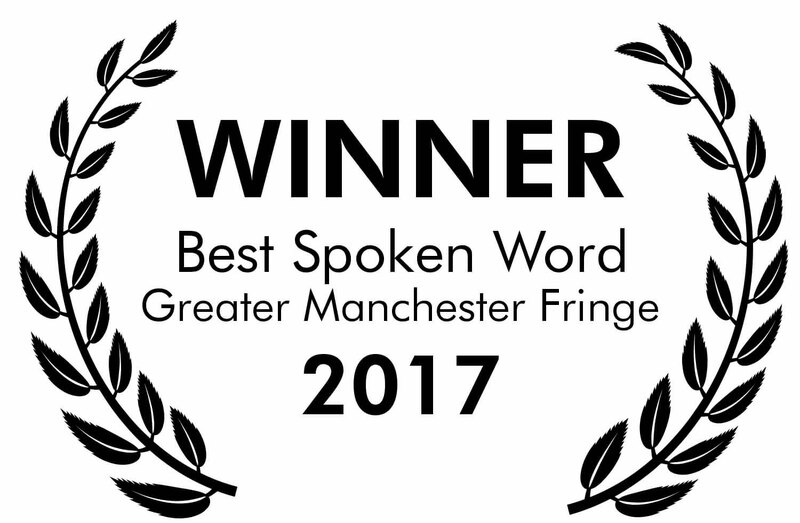 Rosie is the youngest member of 'Manchester's First Family of Theatre', headed by her mother (and director of this play) Sue Jenkins and father David Fleeshman, with sister Emily Fleeshman and brother Richard Fleeshman. 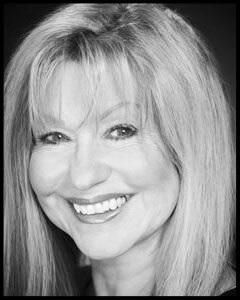 SUE JENKINS has been an actress for over 40 years, working in over 85 theatres across the UK before embarking on a long television career. Sue played Gloria Todd in Coronation St (4 years) and Jackie Corkhill in Brookside (11 years). Other TV credits include, How We Used To Live, Emmerdale, The Beiderbecke Affair, Coasting, Dalziel and Pascoe, Heartbeat, In Deep, The Royal, Doctors, Holby City, Midsomer Murders, Casualty, Being Eileen. She has recorded over 200 plays in BBC radio drama.